In Person Readings or by Phone. Sedona, AZ is a well-known psychic and spiritual center. Nirup is Sedona’s best-known psychic and spiritual counselor, for over 12 years Nirup has been living in Sedona and guiding hundreds of clients in knowing their next steps to take in life. If you are….looking for direction, need some help in making decisions to have the best possible outcome. Need clarity in areas of work, relationships, career change, health, and money. You can visit Nirup’s videos for more information on types of services. Nirup has 23 years of professional experience as a psychic. She spent several years in India training in the areas of Psychic Development, Past Life Regression, Meditation and Counseling. Further psychic and spiritual studies, psychological training and work took her though-out Asia, India, South Pacific, the USA & Canada. 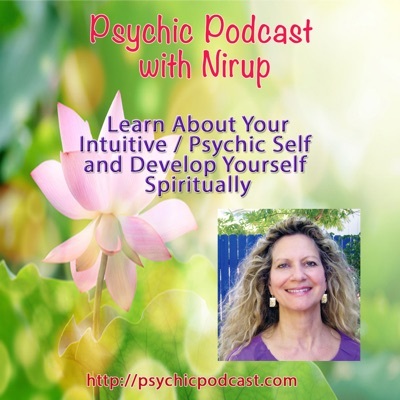 Nirup is a psychic medium who provides sessions to those whom are interested in connecting with loved ones crossed over. She currently lives in Sedona AZ, and offers sessions in intuitive psychic readings, tarot, spiritual counseling, EFT, emotional healing, past life regression, aura chakra reading and balancing. Nirup has developed trainings in Personal and Psychic Development which can be taken in-person in Sedona, or as an online training or a DVD home study course.